Leading cricket commentator Mike Haysman says reverse swing bowling has “died” in the wake of last year’s ball tampering scandal that rocked the game. Australia was caught using sandpaper during the Cape Town Test in March 2018 in an attempt to rough up one side of the ball, to generate reverse swing that is often so potent, particularly against batsmen who are not yet fully set. 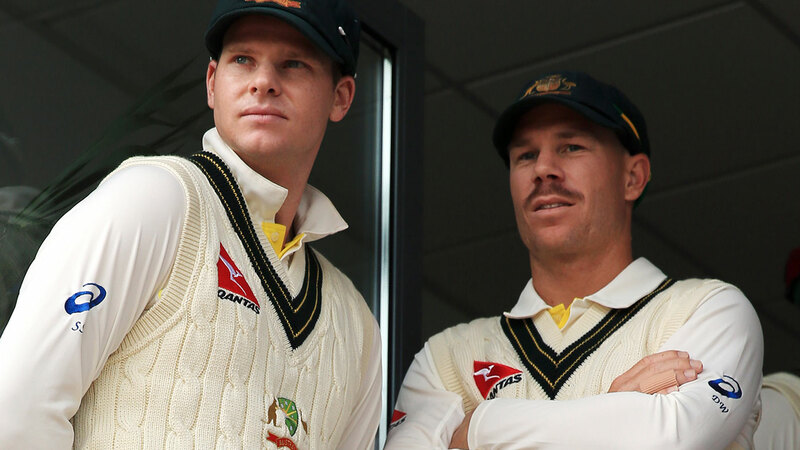 It resulted in 12-month bans for captain Steve Smith and vice-captain David Warner, along with a nine month suspension for opening batsman Cameron Bancroft. Haysman, a one-time South Australian teammate of former national coach Darren Lehmann, and a long-time commentator for South African broadcaster SuperSport, says the absence of reverse swing is a game-changer. “I’m a firm believer that one of the most exciting parts of Test cricket is reverse swing, and that has died. It’s simply died,” Haysman told Wide World of Sports, for an exclusive series marking 12-months since the ball-tampering scandal. “All the teams are extremely cautious about what they can do. It does prove that some teams were perhaps not gaining reverse swing legally in the past. This is the first in a series of articles to mark the first anniversary of the ball tampering scandal. Keep an eye on nine.com.au and wwos.com.au through the coming week for more. 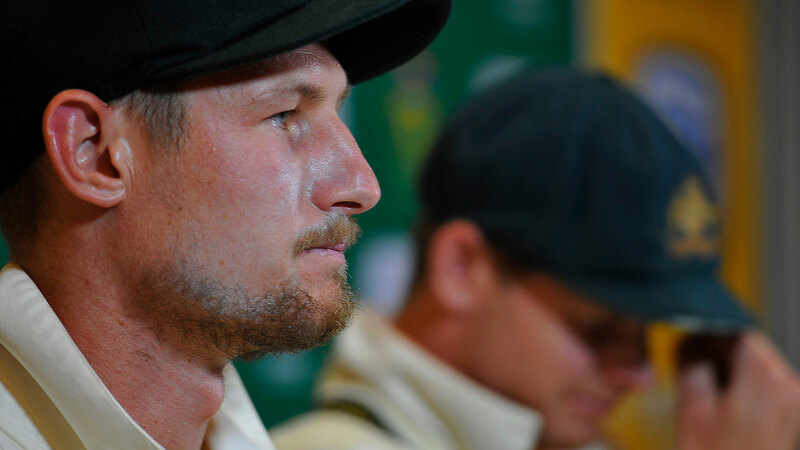 Australian bowlers had generated significant reverse swing in the opening two Tests of the South African series, before the doomed Cape Town match. During the summer just gone in Australia, it was noticeable that, while Indian bowlers were able to gain reverse swing, there was very little on offer for the home side. With Cricket Australia (CA) into the third year of a trial to use the more bowler-friendly Dukes balls during the second half of the Sheffield Shield season, instead of the traditional Kookaburra brand, Haysman is of the belief the switch to Dukes balls should also happen at Test level, saying the Kookaburra’s “don’t cut it, especially in the southern hemisphere”. The Cape Town Test, and the ensuing controversy, which occurred 12 months ago this week, plunged Australian cricket into its greatest crisis since the World Series split in 1977. A year down the track, both CA and the Australian men’s side find themselves under almost entirely new leadership. Despite the apparent severity of the penalties handed down to the three players, Haysman says CA was left with little choice but to come down hard, given the reaction from the public. “I’m still of the opinion the penalties were right, because something had to be done. The public opinion was so raw, and so hurt,” Haysman said. “I think the problem Australia had was the public sentiment was negative anyway, and the people were upset with the way the team was going about their cricket, obviously the players strike the previous year during the pay dispute didn’t win them any friends. Australia is tentatively scheduled to play three ODIs and three T20s in South Africa in February and March 2020, and Haysman believes Warner will face a hostile reception from local fans if he makes the trip. “South Africans don’t forget, and there’s always that competitive rivalry between South Africa and Australia,” Haysman said. “If David Warner happens to tour South Africa, he will get an earful wherever he goes, that’s something that he seems to attract around the world. Australian cricket has attempted to move forward with a new set of values under Tim Paine’s captaincy, included the “Elite Honesty” slogan that was the subject of much ridicule when it was revealed. Warner and Smith caught up with the Australian team recently ahead of the series against Pakistan, with Warner confirming there had been a “big change” in the team in their absence, while Smith admitted part of the visit involved “going through the values that are instilled in the team at the moment”. But Haysman is reluctant to believe the side has turned over a new leaf. “I don’t think they have. And I think it would be sad if they did,” he said. “Australia is known for its aggressive sporting style and that’s the natural way they play. I hate the phrase that you can’t cross the line, that’s just a nothing phrase as far as I’m concerned. There’s fair and unfair. One aspect of the ball tampering scandal continues to infuriate Haysman. “I’m quite annoyed that I keep hearing reports that people are saying it was a set-up,” the SuperSport commentator said. “I’ve read numerous reports from people who weren’t in the know, they’ve just picked up bits here and there. There’s no way it was a setup, it was a carefully put together piece of cricket news that was broadcast in the sequence that it happened.